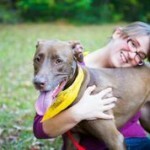 The relationship you have with your dog needs to be fostered just like any other relationship in your life; however, most of us have had lots of practice getting along with friends, partners, or parents, but few of us have taken the time to learn how to strengthen the relationship with our pets. I've learned over the years with my lab-mix Coco, that innovative games--keeping her mentally satisfied--goes a long way in making sure we get quality time together to bond. Here are our 3 favorite games and why they work to keep us close. Don't let the name fool you; no actual animals get hurt during the playing of this game. Instead, Coco gets to use her natural abilities to hunt around the house searching for her toy, while receiving my full attention. I like it because she is practicing important commands that help us communicate better with one another. I start by making her sit and stay in a somewhat hidden area--a place out of view. Then I take a favorite toy (one she has seen me grab and has had a chance to sniff) and hide it from her. Once I'm done, I tell her "free"--her command that she can begin hunting the toy. When she finds it, she brings it to me for a mini play session and lots of praise. You'd think that she struck gold the way I carry on. When our session is over, I tell her to "leave it," and we start over again. We play until she is physically and mentally exhausted. This game uses similar commands as the hunting game, but provides the excuse to shower Coco with affection. It is just like the hide and seek game you played as a kid, but the reward for your dog is ear scratches and belly rubs, which is essential in bonding. Here is how we play: I have Coco sit and stay at a certain spot in the house. Then I go and hide. Once I am nice and hidden, I yell, "come find me" or "free," which gives Coco the OK start seeking. When she has found me, she gets the reward of lots of physical praise and maybe even a treat. Often I will hide close to the ground so when she spots me we can instantly engage in floor play. Once we are done, I put Coco back on her starting spot and begin again. She loves having the boundaries of playing by the rules, and the physical interaction this game allows is good for us both. This game is similar to the shell game we've all seen magicians play. After hiding a treat under one of 3 cups, I move the cups around trying to trick Coco (who is sitting and staying watching me). When released, Coco comes to the cups and tries to choose the cup with the treat under it. Most of the time she gets it right, sometimes she doesn't, but we are always communicating with each other and having a good time, which is what bonding is all about. Coco is happy to be spending time with me--and finding the treat is just the bonus! 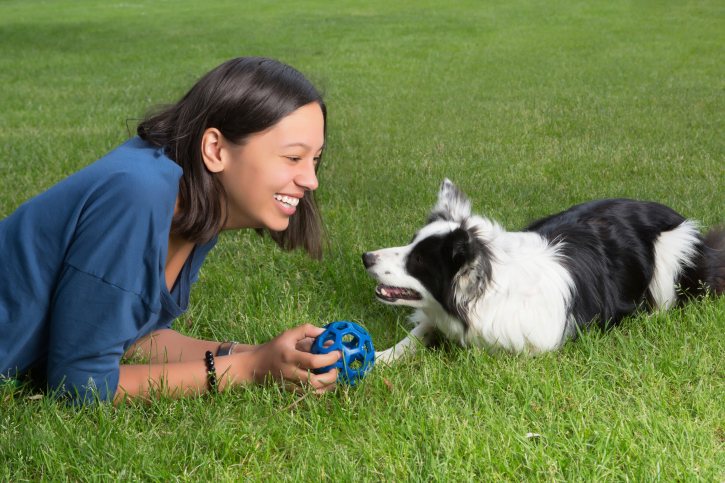 Meeting your dog's physical needs is important, but for a fulfilling life for both of you, ensuring that you have a strong bond is essential.